Do you have too many toolbars in Outlook? Want more space your mails? Right-Click on an Outlook toolbar and choose “Customize”. When you’re done with the icons, close the toolbars that you now don’t need any more. 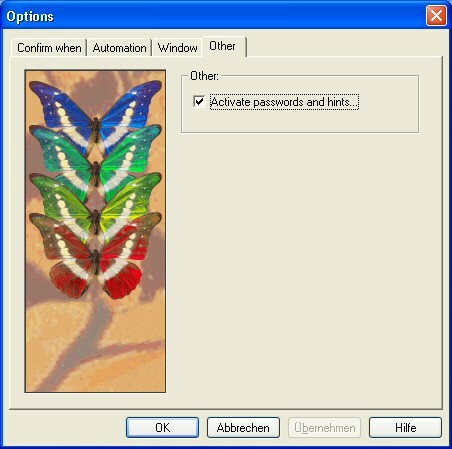 Please note: This works with all Outlook toolbars but not with all toolbars provided by add-ins. Our own duplicate scanner, 1-Click Duplicate Delete for Outlook supports this, as you can see. Want more? Here they are. There’s a feature in MS Outlook that most people don’t know. When writing an e-mail you can specify that you don’t want to send it immediately, but at a certain time. If you’re using an Exchange Server the message will be sent at the correct time, even if you PC isn’t switched on. Activating this feature is a bit cumbersome. In your e-mail, choose “View” / “Options”. There you’ll find the necessary dialog items. The delayed items are waiting in your outbox and if you double-click to check what strange thing is waiting in your outbox and then CLOSE the message after reading it, it won’t be sent out at all. You’ll see that it won’t be in italics either. To get it sent out again at the correct time, you’ll have to open the item again and SEND it again. Then it will work. If you use ReplyButler, you can use the “Send Later” button and get a nice menu which is much easier to use than the hassle with the options dialog. 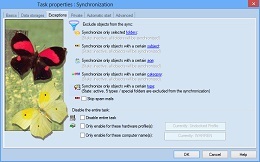 Synchronizing 2 Outlook installations can be tricky, but it just got easier. A new version of Easy2Sync for Outlook is out. Since the program already has a huge feature list, the changes are mostly details, like more intuitive error messages in several special cases. You can use Easy2Sync for Outlook to synchronize normal PST files or Exchange Accounts (even “Public folders”). The image shows some of the filter options that are supported, like for example categories. YES!! Version 1.00 is out. Your Outlook duplicates are history now, with 1-Click Duplicate Delete for Oulook it’s amazingly easy (and fast) to remove them. With a single click it can scan your e-mails, contacts, etc. 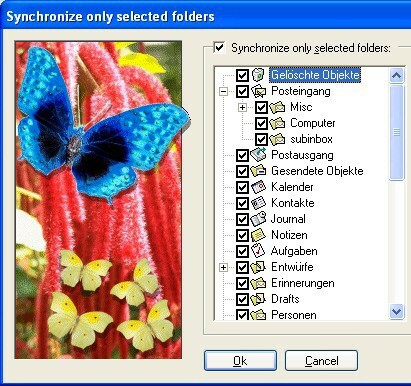 find duplicates, compare them in detail and move them to the recycle bin (an undo is possible of course). And if you don’t have duplicates, but similar items, the software will automatically suggest a new definition for “what’s equal”. As german news service Golem has written, there’s now a really tiny USB stick (2,8mm thick) available, perfect for sychronization. You can use Easy2Sync for Files / Easy2Sync for Outlook to synchronize your files / your Outlook e-mails+contacts onto the stick, take it from the office to your home office and then synchronize everything there with the stick. And with 1-Click 1-Click Duplicate Delete for Outlook, you can get rid of them very easily. The Beta 2 is now out, with some improvements for the toolbar and an intelligent assistant that can offer you to search for similar objects instead of real duplicates. There are things that are good for the user. And there’s the exact opposite. Some users have the talent to do the 100% opposite. Mess up the configuration. Change the PST file path. And so on. So, you might want to protect your Outlook sync configuration. Easy2Sync for Outlook has a powerful option for that, but it’s a but hidden and can be overlooked. You’ll get a subdialog and here you can configure passwords and notification messages for different situations. Starting the program, editing a task, editing the options, running an Outlook sync from the tray icon. And so on. Please click here to try it and get more info about Easy2Sync for Outlook. The problem begins if you want to synchronize different Outlook versions (in different languages versions). Normally you’d suddenly have to contacts folders, one in each language. That’s any excact synchronization. But not what you want. You want “Contacts” synchronized with “Contactos” (or whatever). Here you can specify these two folders for a new task. That task will synchronize only the contents of THESE folders, ignoring the different names, ignoring everything around it. That’s all. Wanna try? Here’s more about how to synchronize Outlook. and lots of details …. Do you need that program? YES! If you write a lot of e-mails, because the program makes answering quicker by pre-write the addressing with the name (“Hello Peter,”). YES! If you write to a lot of different people. Because you WILL be typing the same thing over and over. And ReplyButler can save your time here. And most of all, it’s free, at least the basic features are free foreever. Great plugin, great value, download the Outlook-add here.